In my former life (pre-kids), I was a scrap-booker. I made scrapbooks all through high school, college and early married life. I am an avid journaler and love the process of recording life to look back on. I also have a bit of a paper obsession. I love, love, love the school supplies section of the store. Some gals like to get their hair done as a nice kid-free treat. Me? - You just set me free to wander a good stationary section and school supplies and I am happy. 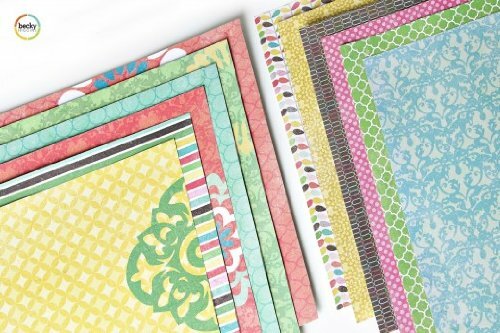 Scrapbooking was always a way for me to play with pretty paper. When I was pregnant with my first child, I had very grand visions of creating this beautiful scrap book of my motherhood experience and her childhood. I could just see her flipping through all those pages, recounting the memories that I had joyfully written out. I can hear you chuckling. You know, don't you. Yes, I started her scrapbook. It is lovely. She loves to look through the pages of her book. All 6 months worth of pages. She is seven years old. Ugh. I know. And then, there is child number 2. He has a book, but it has yet to be started. He is turning five next week. But, in all honesty - I have not given up on the idea of this happening for them. I have things I want them to know about their childhood and I have photos that are way too precious to just sit in my computer's hard drive. I just needed a better system. The traditional scrapbooking program was definitely not working for me. I recently stumbled on Becky Higgins' blog. I think I read through her entire blog in one sitting. My eyes were burning, but I had a serious blog crush on this amazing mom who exudes creativity and killer style. [Her blog is seriously amazing and you must visit and check out all her fabulous ideas.] 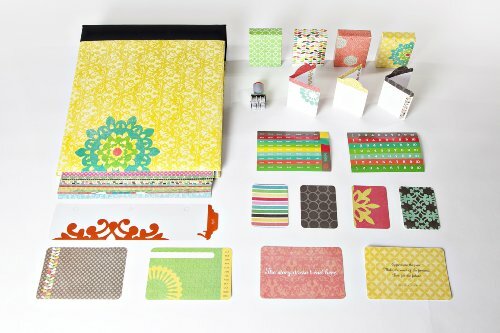 One of her greatest ideas is her Project Life spin on scrapbooking. It is like Scrapbooking for Dummies. It is definitely a method for those of us who want to be able to integrate photos with cute paper, and a journaling element, but may not have the time or space to scrapbook the way we used to. The kits come with a very cool designer 3 ring 12 x 12 inch album. You can choose from the Amber (more girlie version, but my fave!) or Turquoise kits (also amazing). 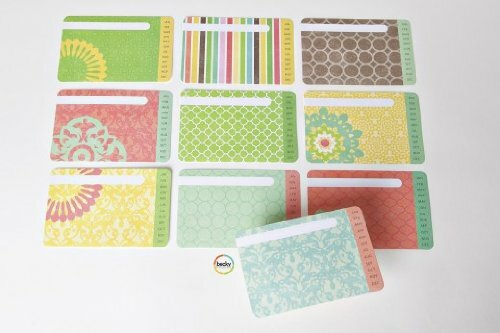 It also includes 54 divided photo pocket pages for horizontal pictures and the pre-cut journaling and title cards, hundreds of these cards, and hundreds of day and number stickers, and a date stamp for labeling photos and the journaling cards. 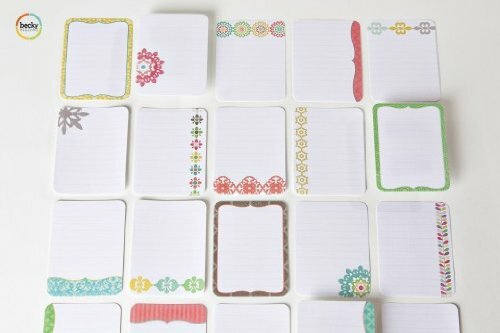 Everything is organized in cute little card holders so that it all stays nice and neat. I have organized the smaller elements and cards from the two kits in a Trader Joe's clementines box. Fancy, I know. It was just the perfect fit and I can keep it all stashed for impromptu projects, as well as while working on our school years kits.